OUR campaign to boycott ABSCBN includes not supporting all the programs of the said radio andTV stations, also not subscribing to their services like TFC. But our boycott goes beyond that. We also expose to the public the “evil” that this company does and how irresponsible, unprofessional, bias and unbalanced they are in their news reports. This action was only through the initiative of the members of the Church Of Christ. No one forced us to do so. We boycott ABSCBN because we have had enough of the lies of this station thrown against our beloved Executive Minister and our beloved Church. Others oppose this action we have taken and accuse it as being “unchristian.” However, those who took the “act of boycotting” as “unchristian” are ignorant or the meaning of the word and most especially of the teachings of the Bible regarding what Christians should do. It’s an act of refusing to buy, use or participate in (something) as a way of protesting until CHANGES are made. Thus, boycotting is an act to make changes, to right the wrong, to improve, or for betterment. 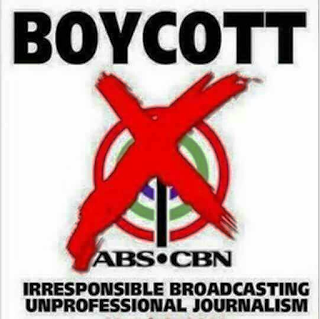 We boycott ABSCBN because of their unprofessional and irresponsible journalism, for their biased and unbalanced reporting, thus we boycott ABSCBN for a better journalism. All Filipinos deserve better journalism. Thus, those who oppose our act of boycotting ABSCBN oppose the campaign that Filipinos deserve better journalism. 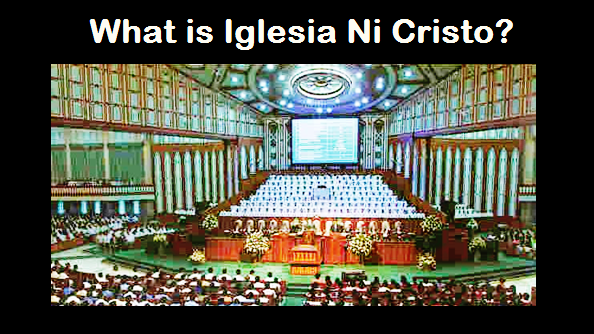 Should anyone immediately dismiss our act of boycotting ABSCBN as “unchristian”? Ponder this, is an act to campaign better journalism--that a news agency or a media outfit be responsible, truthful and accurate--“unchristian”? Lies, deceptions and misinformation are but evil and works of darkness. Using media to misinform and spread lies are indeed works of darkness. Thus, Christians are encouraged by the apostles not to take part or, in other words, “boycott” the “works of darkness,” which include irresponsible and unprofessional journalism and biased and unbalanced reporting. The apostles not only encourages the Christians to “boycott” or “take no part” in the worthless pleasures of evil and darkness but also to REBUKE AND EXPOSE THEM. THUS, WE CHRISTIANS ARE TAKING NO PART IN THE WORKS OF EVIL AND DARKNESS INCLUDING MISINFORMATION, SPREADING LIES, DECEIVING PEOPLE THROUGH IRRESPONSIBLE AND UNPROFESSIONAL JOURNALISM, AND BIASED AND UNBALANCED REPORTING. WE WANT CHANGE. WE WANT BETTER JOURNALISM. SO WE SAY NO TO ABSCBN! Join Us! You can also contribute an article discussing your reason why you “Say NO to ABS CBN.” You can send it to us through the message box of this page. Sa simula pa lang ng gulong ginawa ni G. Angel at mga kasama niya mula pa ng July 2015, hindi na nabigyan ang INC ng parehas at balanseng media coverage ng ABS CBN. Sa isang taong pamangmatyag at may isip, malalaman mo sa kanilang pagbroadcast na may kinikilingang grupo ang kanilang paghahayag sa publiko. Planado at ang staff nila ang pasimuno sa sapilitang pagpasok sa disputed (#36) property. Ang arogante at pasigaw na pagtatanong ni Ces Drilon o pambu-bully sa security guards. Ang pinaka unprofessional na ginawa nilang selective presscon, nang harangin nila ang Net25 upang bigyan-daan ang 'marakulyo' ni Gng. Lottie ang nagbunsod sa akin na putulin na ang TFC subscription sa kanila. It's not worth to pay $360.00 a year for a product or service that supports detractors of the Church. A bias media has no place to professional journalism. ABSCBN NO MORE. BIAS STATION. WE BOYCOTT THEM!